It takes an incredible amount of time and effort to be a landlord. People decide to acquire rental properties and become a landlord for the opportunity to earn passive income. What some do not anticipate is that being a landlord can be a time consuming job. 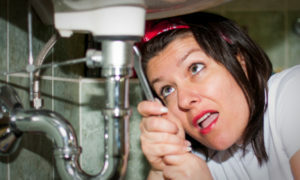 Check out our Tired Landlord blog for more information on common situations landlords face. That’s just the beginning. If you’re a tired landlord, tired of managing your rental property, there are real estate solutions for you. Your options include hiring a Property Manager, listing your rental property for sale with a Realtor, selling it owner finance or pursuing an opportunity to sell your rental property in its current condition for cash with a real estate solutions company like Reddtrow. Are you Looking for a Way Out of Property Management? Rental properties can become not only financial burdens, but also a time burden. If you’re a rental property landlord with another job, managing troublesome tenants or keeping up with a distressed property can be near impossible. The rent you’re collecting may not be enough to cover needed repairs and the mortgage of the property. Without significant financial resources, fixing up the property may not be an option. In addition to paying for repairs, you may need months and weeks where the property is uninhabitable to complete those repairs. If you don’t have time on your side and you don’t have the financial resources to complete extensive rental property repairs in order to list your property, there is another option. We have helped many tired landlords get out of difficult situations by selling their rental properties in as-is condition for cash. You will be able to walk away from your rental property without additional hardship. You won’t have to worry about handling the tenants or any legal issues; real estate problem solvers like Reddtrow work with qualified reputable attorneys and other partners that can assist in any situation no matter the circumstances. Hiring a Property Manager may be an option. Keep in mind, no one will care about your property like you and you may run into the Property Manager sending unnecessary repair bills that will deplete your cash flow. In addition, there are PMs (not all) that don’t run their business honestly. In a nutshell, you need to manage the Property Manager and have checks and balances in place. You can be Done with your Rental Property. Are you ready to move on from your rental property and be done with property management? For whatever reason you want to get rid of your rental property, we can help. Explore your options today, without any obligation or hassle.